A soothing sea of lavender, this beautiful bouquet blends luxurious roses and alstroemeria with playful snapdragons and bells of Ireland. 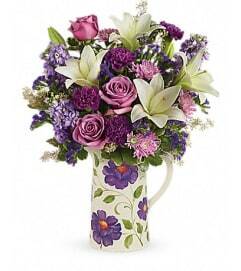 It's a charming, cheerful gift for any occasion! 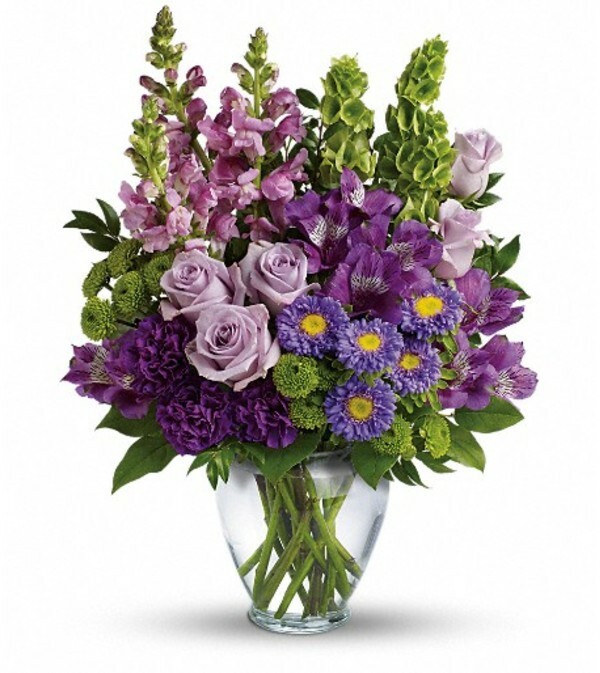 This lovely bouquet features lavender roses, purple alstroemeria, purple carnations, lavender matsumoto asters, green button spray chrysanthemums, lavender snapdragons, bells of Ireland, huckleberry and lemon leaf. 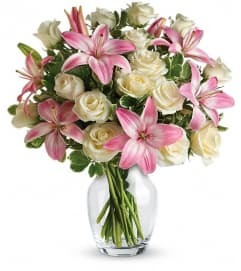 Delivered in a clear glass vase.